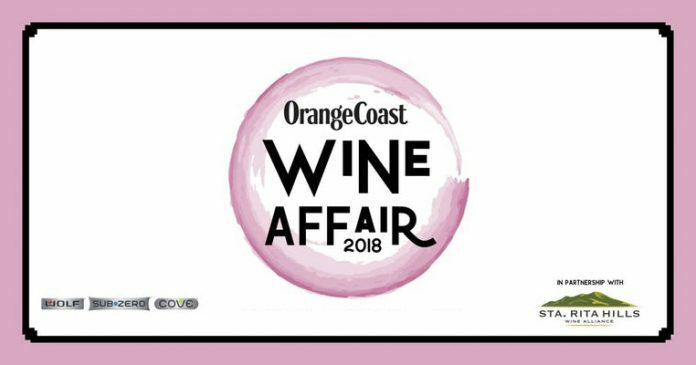 This may be short notice, but you have to add the Orange Coast Wine Affair to your agenda this Saturday. I am! I know, I know. We all have so much shopping, wrapping, and decorating to do now that December is upon us. But this Wine Affair featuring the wines of the Central Coast’s Santa Rita Hills is a unique event that will accomplish much of your to-do list. Here are your event details and why I’ve cleared the deck to attend. WINE. I mean, really good wine. Wine made from the heart by the very people that will likely be pouring for you on Saturday. Although these are well-known, distinct wines from the Lompoc region and surrounding area, they thrive on a personal charm and flair by the people involved in their production. When they pour for you this weekend, you’ll want to chat with them for hours about their passioned yet not easy wine life. The Santa Rita Hills are famed for their cool climate varietals like pinot noir. Think cool fog rolling off the Pacific up the canyons inland. You’ll love learning and experiencing the different types of pinot from varying vineyards and processes though grown in the same region. This isn’t a pinot-only affair, and I presume we’ll also taste pinot gris, sparkling, rose, and more. Just a taste of the vineyards attending that suit my fancy are Hitching Post (yes, that Hitching Post from Sideways), Fiddlehead Cellars, Flying Goat, and Kessler-Haak. SHOPPING. The Sub-Zero, Wolf, and Cove Showroom is a block from South Coast Plaza. Hit the Plaza early for holiday shopping before the crowds arrive, lunch at nearby Pizza Ortica (the wine list makes my heart pitter-patter), then come to the Wine Affair for a relaxed afternoon of tasting. I plan to utilize the afternoon’s tastings for my own shopping. I love to gift wine to which I can share a personal background story and experience, rather than the “I’ve heard it’s good,” or “It’s highly rated” mantra. Find wines you’d like to gift to your friends, family, co-worker, or as hostess gifts. Best yet, discover wines you want to showcase at your own holiday soirees. FUN. Learning, drinking, and talking wine just rocks. I find it incredibly relaxing and that isn’t just the alcohol talking. It is the connectedness of sharing passions. In true Orange Coast style, there will be plenty of charcuterie and cheese, as well as featured restaurants like Decanos, Davio’s, and Sub-Zero’s very own chef, Molly Kruger. I also love eyeing the kitchens and appliances of my dreams in this super-cool location. You may put a new wine fridge on your own Christmas list!